Ryan Tubridy on the set of the Late Late Toy Show. Pic Steve Humphreys 29th November 2019. Ryan Tubridy on the set of the Late Late Toy Show . Pic Steve Humphreys 29th November 2019. Ryan Tubridy on the set of the Late Late Toy Show with Tattoo Man Dylan O’Connor (11) from Dublin, Napoleon Luke O’Connor (7) from Dublin, 3 Legged Man Kayla McMahon (10) from Balrothery, Pierrot Clown Enya Allen (5) from Navan, Fatman Matthew Little (12) from Ardee, Bearded Lady Alannah Willoughby (12) from Carlow, Wolfman Colm Sullivan (8) from Navan and Albino Ella Maher (10) from Carlow. Pic Steve Humphreys 29th November 2019. 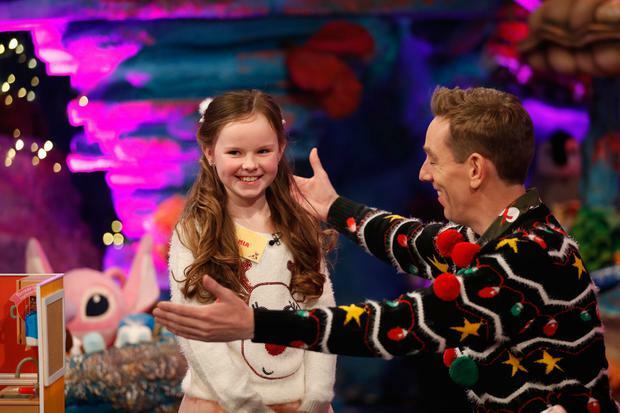 Ryan Tubridy on the set of the Late Late Toy Show with Pierrot Clown Enya Allen (5) from Navan, Bearded Lady Alannah Willoughby (12) from Carlow and Wolfman Colm Sullivan (8) from Navan. Pic Steve Humphreys 29th November 2019. Ryan Tubridy on the set of the Late Late Toy Show with 3 Legged Man Kayla McMahon (10) from Balrothery, Pierrot Clown Enya Allen (5) from Navan, Fatman Matthew Little (12) from Ardee, Bearded Lady Alannah Willoughby (12) from Carlow, Wolfman Colm Sullivan (8) from Navan and Albino Ella Maher (10) from Carlow. Pic Steve Humphreys 29th November 2019. Ryan Tubridy on the set of the Late Late Toy Show with Fatman Matthew Little (12) from Ardee. Pic Steve Humphreys 29th November 2019. If you grew up in 1980s Ireland, you'll recall that the televisual landscape for little ones was… well, decidedly lo-fi. Charming, heartfelt and made with love, certainly, but there often wasn't much in the way of razzle-dazzle, unless you count Bosco's magic door. Which, lovely and all as it was, I don't. Yet that all changed on one night of the year. As a child, I gave The Late Late Show a fairly wide berth - too full of grown-ups saying serious things for my liking - but the Toy Show was a different stripe of TV entirely. The reasons for its appeal were manifold. 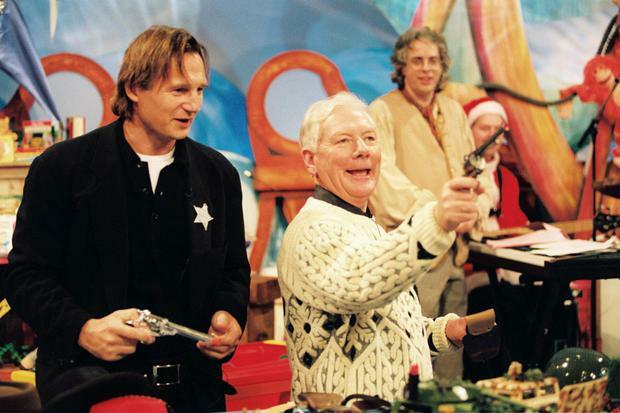 There was a serious business involved, what with the writing of letters to Santa Claus, but more than anything, The Late Late Toy Show ushered in a grand sense of occasion every year. Lighting the fire, buying a 'festive' block of Vienetta and a family-sized bottle of TK, these were rituals we didn't get to enjoy every week. We were freshly bathed and clad in new pyjamas before edging as many newfangled toys, gadgets and dolls into a revised Santa's letter as we thought we'd get away with. In my house, just as in anyone else's that I knew, Christmas was officially off to the races. And the toys. With Uncle Gaybo presiding over events in efficient fashion, the toys came at you at a rate of knots. And not just any toys - it was all the stuff that no one yet had; all the toys that would dazzle the school playground, guaranteed. We'd be beside ourselves with envy at the well-spoken youngsters invited to appear on the show who already had the inside scoop on that year's must-have. Whatever about appearing on Action Station Saturday or Pajo's Jukebox, being a Toy Show tester was a gig to seriously aspire to. These were the days, of course, before kids were used to amassing piles of stuff - birthday and Christmas presents were very much a big deal. And when Gay started liberally doling out one (one being prizes, trinkets, experiences and gadgets galore) for everybody in the audience in the manner of a grey-suited Santa Claus, you'd be sick with jealousy afresh. We may look back now, via the rearview mirror of adulthood, and scoff a little at just how camera-ready and shiny of tooth those Billie Barry Stage School stars were. But when you're five or six, these all-singing, all-kicking youngsters were like a friend's much cooler older brother or sister. They were a little intimidating and certainly more knowing and streetwise than you could ever hope to be (jealousy is a big part of the overall experience). It stands to reason that the Toy Show was a big deal in the cultural wasteland of 80s Northside Dublin. But last year, something interesting happened when I visited friends with children on the night of The Late Late Toy Show. Their five-year-old had a cornucopia of screens, toys, artistic projects and dress-up costumes every which way she looked. And yet it all paled in comparison to what was coming next on TV. "I can't believe I need to wait FIVE more minutes for this!" she exclaimed at one point, genuinely anguished. How has it come to this? 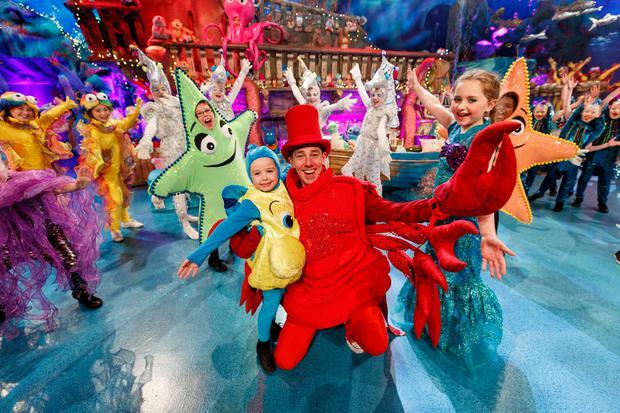 How has The Late Late Toy Show held such a stranglehold on the affections of the nation, and for this long? And how did it move from a small segment in The Late Late Show in 1976 to what is now arguably the high point in RTE's calendar? Playground power has a lot to do with it, I suspect, with little kids getting caught in the riptide of Toy Show hype long before Ryan Tubridy even picks out his Christmas jumper. Yet according to Dr Anthony McIntyre of UCD's Film & Media Studies department, the nostalgia that parents enjoy every year offers the Toy Show juggernaut much of its heft. McIntyre conducted research, via IT Carlow, on how expats access Irish media and broadcasting. Among the study's most startling findings was that The Late Late Toy Show would come up as a must-see time and time again. "It's like the other signifiers of being Irish, like Father Ted or Tayto," he notes. "It's for us, by us, and a real indicator of Irish culture that's not captured by tourist-board images. It's something for insiders and it's something that expats will watch to feel connected to home. In the 80s on British TV, you had things like Noel's House Party where they'd be showing off toys and giving them to kids, but the Toy Show were the only ones in RTE doing it," he adds. "It was a strange example of consumerism delivered in a friendly, folksy way." McIntyre is right in that the Toy Show is a uniquely Irish phenomenon: try explaining to an outsider that millions of viewers are tuning in to prime time TV to watch young dancers and a three-hour advertisement for the toy industry, and watch their brows furrow. "In some ways, it was notable for being ramshackle - a few things didn't always go to plan, and that was the nature of live TV," McIntyre adds. 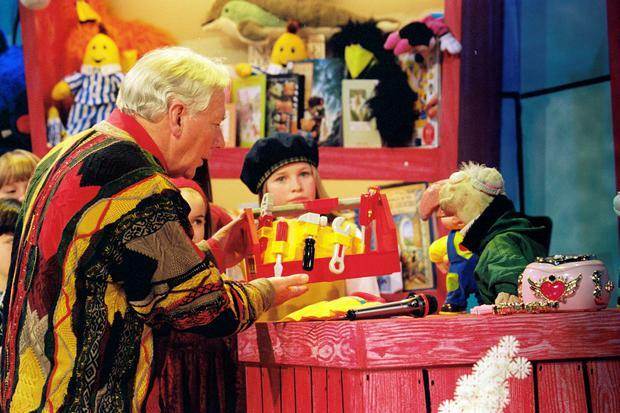 The Toy Show can trace its genealogy to programmes like School Around The Corner, which began in the 60s and enjoyed a near-30-year-run: "You have these shows where the adults are slightly uncomfortable interacting with the kids, and certainly with Gay, he would often look quite quizzical at what was going on," notes McIntyre. "Ryan is slightly more au fait with the games and devices." Tubridy is very much integral to the current package. "He connects more [with the kids] than Pat Kenny did," observes McIntyre. "Pat was a bit of an interim figure between Gay and Ryan. But with Ryan, there's a slight awkwardness, but he's game for a laugh. It's very much part of the overall charm." The Toy Show is doing what it has always done best, and there's very much an 'if it ain't broke' air about it; an unstinting position that helps only to copper-fasten its appeal. Still, producers appear to have at least one eye on the Zeitgeist: "In some ways, you see the Toy Show adapting to trends in wider media, like the moment where the solider gave his family a surprise last year [when Sergeant Graham Burke returned home to his young family from duty in Mali]. That's a moment that seems designed specifically for YouTube, and to be shared," says McIntyre. Safe to assume, then, that among the toys, high-kicks, jumpers and the musical numbers, we can expect a viral moment or two in there somewhere tonight. And really, sure where would you get it? The Late Late Toy Show is on tonight at 9.35pm on RTE One.